Kaci is a ray of sunshine with a smile that can light up a room. This eloquent, South Florida native went to Liberty University, where she graduated with a Bachelor’s Degree in Psychology. Kaci loves eating chips and salsa. When she’s not watching her favorite movie, Pixar’s Inside Out, you’ll probably catch her jamming to a Taylor Swift song. Kaci also loves to read and she listens to an array of music genres, but her favorites are pop and country. A little known fact about this bubbly, young woman is that she actually went to Rwanda a few years ago. That trip eventually led to her love for the country, its people, and their story. 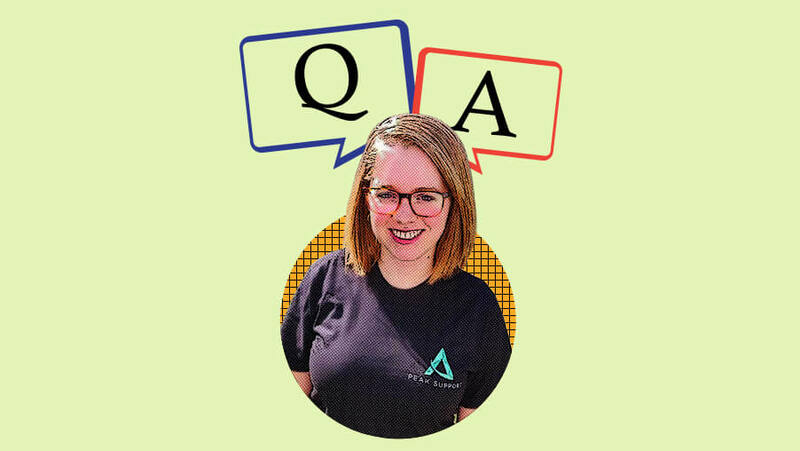 Read on to learn more about Kaci in this fun Agent Q&A blog. What or who inspired you to travel to Rwanda? And what's the best memory you have of your trip there? I traveled to Rwanda with my university’s psychology department (I majored in psych!). My favorite memory… I have so many! The Rwandan people are unforgettable. They are so strong, resilient, and most of all kind. What's the longest road trip you've ever been on? I’ve been on many road trips in my life! Road trips were me and my dad’s favorite type of vacation. We once drove from where we lived in South Florida all the way up to Chicago to look at universities! I would tell my 15 year old self not to worry and that adulthood is so much better than people made it sound. All the things I was worried about then turned out just fine, and my life is better as an adult than I could’ve imagined back then! You just won a 5-minute shopping spree at the mall. Which five stores will you hit up and what product from each brand will you take? Which current fashion trend/s can you never see yourself wearing or buying? I’m not really into fashion; I like to stick with high quality, timeless staples that will never go out of style. The trend that I can’t see myself wearing is hats… some people look amazing in them but I don’t think I can pull them off! If you could stay a certain age for the rest of your life, what age would you be? I love the age that I’m at now, but I would probably wait until I have a child or two to stop aging so that I can enjoy being with them! What types of scenes in movies and TV shows usually make you cry? I can’t handle violence in movies and tv shows. I can handle most other things, but violence and death are too much for me. Which is difficult because I’m currently watching Game of Thrones haha! What's the most luxurious thing you've ever splurged your money on? I just recently bought a really luxurious chair from West Elm… it’s olive green with gold accents and gorgeous! I’m so excited to comfortably read in it. What is the best lesson you've learned from a heartbreak? The best lesson that I’ve learned from heartbreak is to not overlook red flags in a person. When we fall in love it’s easy to overlook major differences and issues early on, but you’re less likely to get hurt when you keep your eyes wide open when in a relationship, and don’t let yourself be blinded by love. What's one word that you never like to utter or use? I never like to use degrading language towards people, which includes words like “stupid,” etc. Not even in a joking or sarcastic way. Where is the most relaxing place you've ever been to? The most relaxing place I’ve ever been to is Ocean City, NJ. My husband’s family vacations there every summer, and it’s so relaxing to sit on the beach and enjoy the ocean. Who was the last person you talked to on the phone and what did you talk about? The last person I talked to on the phone is my dad. We’re very close and talk often, especially because we live far away from each other now. We talked about an upcoming trip that he’s taking. What's the one thing you'll never do again? The one thing I’ll never do again is go on the Tower of Terror at Disney World’s Hollywood Studios. I know that’s super specific, but I just hate the feeling of dropping straight down! What's your biggest failure in the kitchen? My biggest failure in the kitchen is when I try to experiment with baking. It never ends well! Which ingredients will you never put in your burrito? I never put beans or cheese in my burrito. I know some people can’t have a burrito without those, but it’s what I prefer! If you had to give up one of your five sense, which one would it be? This is a hard one… I think I’d give up smell. The other ones are too precious! Where is the most beautiful place you've ever seen a sunset at? Where I live in Virginia has absolutely beautiful sunsets. The colors that come out when the sun sinks below the Blue Ridge Mountains are breathtaking. What object from your childhood do you still have with you to this very day? I still have the teddy bear that used to be mine when I was a baby. It's a Pooh Bear and it went everywhere with me when I was little. I don’t think it’s really ever ok to lie. Unless you’re trying to cover up plans to surprise someone! Which one of your social media posts has gotten the most likes? To this day the post of mine that has gotten the most likes is probably the announcement that I made when my husband and I got engaged. That was over three years ago now, but I haven’t topped it! What is something that you’ve been meaning to find an explanation to but just can’t seem to find any? There are so many things about the human mind that I would love to have an explanation for. As a kid, what superpowers did you wish you have? As a kid I wished I had the power of teleportation. I still wish I had this power! If you were to become a Youtuber, what type of content would we see on your channel? I think it’d be so interesting to make videos talking about psychological concepts as they relate to popular culture.